The Thich Nhat Hanh Foundation works to continue the mindful teachings and practice of Zen Master Thich Nhat Hanh, support our mindfulness practice centers around the world, and engage in Sangha (community) building in order to foster peace and transform suffering in all people, animals, plants, and our planet. Lovingly referred to as Thay ("teacher" in Vietnamese), Thich Nhat Hanh is a global spiritual leader, poet, and peace activist, revered throughout the world for his powerful teachings and bestselling writings on mindfulness and peace. He was nominated for the Nobel Peace Prize in 1967 by Dr. Martin Luther King, Jr.
Funding ensures the mindfulness practice centers remain open for visitors to seek refuge, experience peace, and receive training from monks and nuns in the art of mindful living. Grant funding is available to support community initiatives that bring Thich Nhat Hanh's teachings to underserved populations and geographic areas. Your donations provide dedicated support for international humanitarian relief efforts, giving material support and hope to victims of poverty and natural disasters in Vietnam and other countries. Donations provide accessible health care for our monastic brothers and sisters. We know when we take care of our monastic friends, we also benefit from their presence and practice. While there is no universal definition of “mindfulness,” Thich Nhat Hanh often describes it as “being aware of what is happening inside and around you in the present moment.” His key teaching is that, through mindfulness, we can learn to live happily in the present moment—as a way to truly develop peace, both in one’s self and in the world. We see mindfulness as part of a path, beyond a tool or technique, that requires training and practice. It can be talked about in words, but its true transformative power is felt only when experienced firsthand. 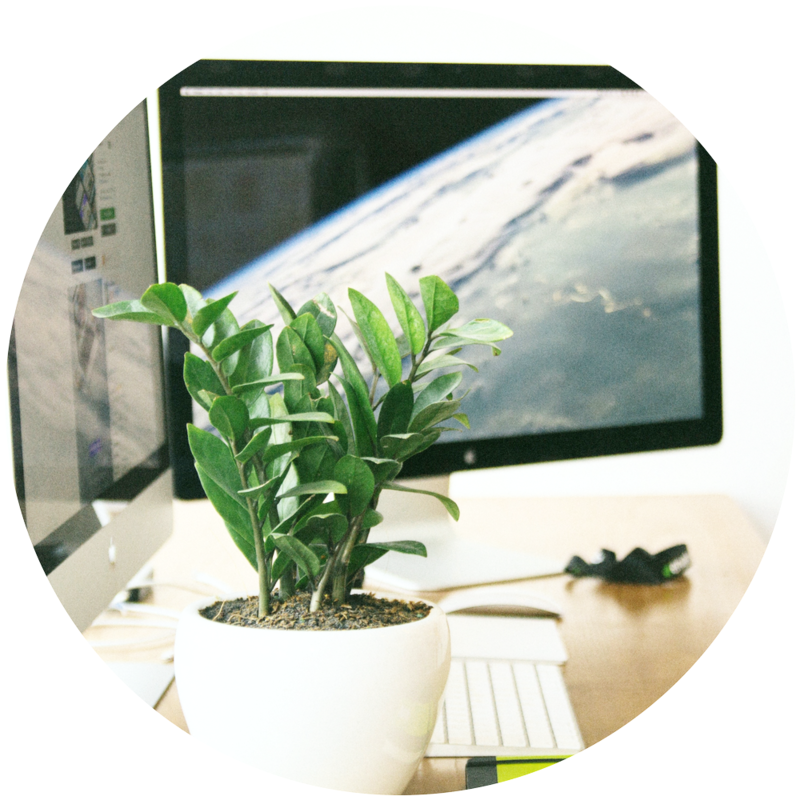 Healthy and happy employees can translate to enhanced performance and decreased attrition. Mindfulness programs help improve communication, foster a spirit of community, and build a shared sense of purpose. Mindfulness practice helps us handle anxiety, fear, and depression, and cultivates well-being and physical health. Mindful communication benefits interpersonal relationships with both loved ones and colleagues. A growing number of peer-reviewed research studies show positive impacts of mindfulness practice on the brain in regions involved with self-reference, focused problem-solving, adaptive behavior, and interoception. The practical implications of these findings impact pain management, trauma response and recovery, and personal stability in difficult situations. Mindfulness reduces students’ stress and fatigue, and improves resiliency, self-esteem, and focus. It helps teachers prevent burnout, improve classroom management, and increase self-compassion. Mindfulness helps transform a school into a second family. Plum Village Monastery in France is the first monastic practice center founded by Thich Nhat Hanh in the West. It is where Thich Nhat Hanh developed his iconic light and gentle style of mindfulness practice that is now familiar around the world. Numerous high-profile mindfulness programs—including Google’s Search Inside Yourself course—are based on the Plum Village approach. Widely considered the “father of mindfulness,” Thich Nhat Hanh has tirelessly dedicated his life to teaching the art of mindful living throughout the world, and his pioneering work has helped shape mindfulness practice as it is known today. While mindfulness is widely considered to be a method of stress relief, Thich Nhat Hanh has long taught that mindfulness is not a tool but a way of life. The Plum Village tradition uses the Five Mindfulness Trainings, a concrete expression of Buddhist teachings, to bring an ethical and spiritual dimension to decision making. Mindfulness is also applied to all aspects of life, including sitting, walking, eating, speaking, listening, emailing, and working. At the heart of our tradition is our approach to community. We see that applying mindfulness to our daily life is not always easy. With the support of a spiritual community (or “Sangha”), the challenge can be lightened and it becomes possible both to transform our suffering and to cultivate joy and happiness. We can build community in workplaces, schools, and health care environments, and together bring positive change to society. Amidst the devastation of the Vietnam War, Thich Nhat Hanh and his colleagues found a way, with mindfulness, to actively help those most in need without losing their own spiritual practice. “Engaged Buddhism” was born—a new kind of Buddhism that is engaged with the challenges of our time, and in which personal spiritual growth and service to society go hand in hand. Today, over 2,000 people worldwide are being trained to follow in Thich Nhat Hanh’s footsteps by practicing Engaged Buddhism. 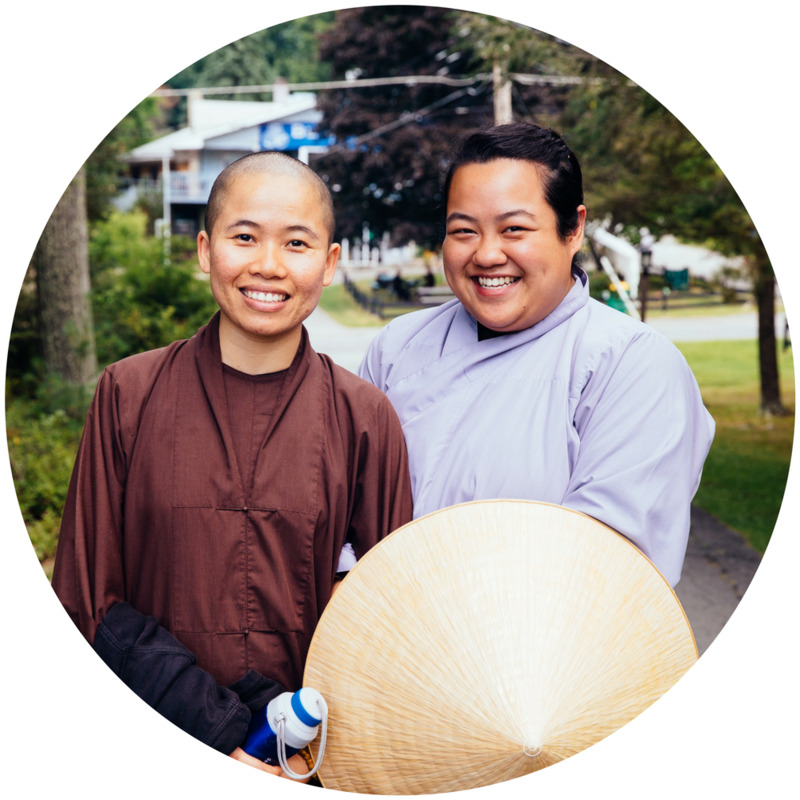 Thich Nhat Hanh has established a monastic order that is dynamic, youthful, and engaged. It is also the largest Buddhist monastic community in the West. In each of our practice centers, the monks and nuns create a peaceful, joyful, and healing environment where visitors can take refuge and immerse themselves in mindfulness practice. The monastics’ commitment to a life of simplicity, harmony, and spiritual training ensures that Thich Nhat Hanh’s living teachings will be carried far into the future. The Thich Nhat Hanh Foundation was founded by and is a division of the Plum Village Community of Engaged Buddhism, Inc. (formerly known as the Unified Buddhist Church). The Plum Village Community of Engaged Buddhism, Inc. is a U.S. nonprofit, tax-exempt charitable organization founded by Zen Master Thich Nhat Hanh under Section 501(c)(3) of the Internal Revenue Code. Donations to the Foundation are tax-deductible as allowed by law.